The trailer for Daddy’s Home looked awful and I am not one of those people who love Will Ferrell in everything so I was dreading having to go and see such a terrible movie. It turned out to be pretty good. Not great, not amazing but a more decent comedy offering than I was bracing myself for. Mark Wahlberg and Will Ferrell came to London’s Leicester Square tonight to promote their new comedy Daddy’s Home and for some funny dudes, they were actually kinda dull. I don’t know why I still get shocked by these photos because it’s nothing we haven’t seen before! Rihanna was showing off her custom-made Prada boots, which go all the way up to her bum and require a strap around the waist. Of course, this meant that she had to show off her bottom! Those boots look rather uncomfortable if you ask me. I knew Katy and Allison were friends because they were each other’s date for the Grammys and they sat near each other. I don’t know how they know each other but they seem pretty close- considering they’re going on running dates with their partners! Katy was with boyfriend John Mayer and Allison’s man Ricky. Pharrell Williams has been working on Miley’s new album and doesn’t she look cool here?! She dubbed them “boos for life”. 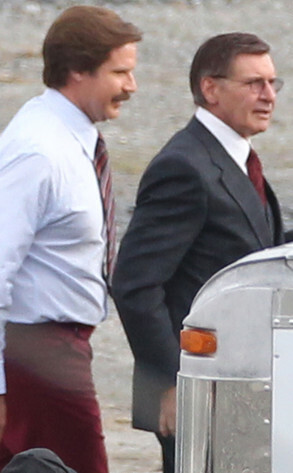 Is that Harrison Ford I spot on the set of the Anchorman sequel?! Yes! His appearance confirms that he will have a role alongside lead man Will Ferrell in the new movie, to be released in December. 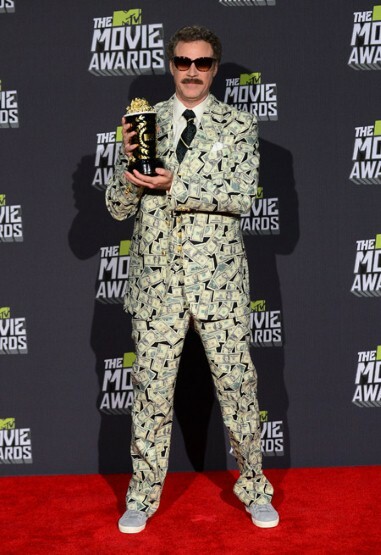 He is apparently going to play a rival newscaster. 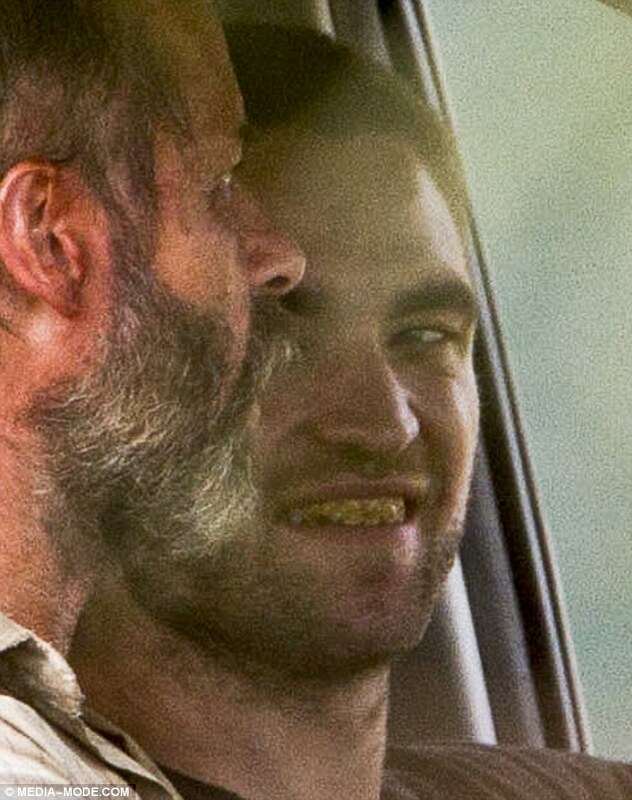 Ewww look how gross Rob’s teeth are!! 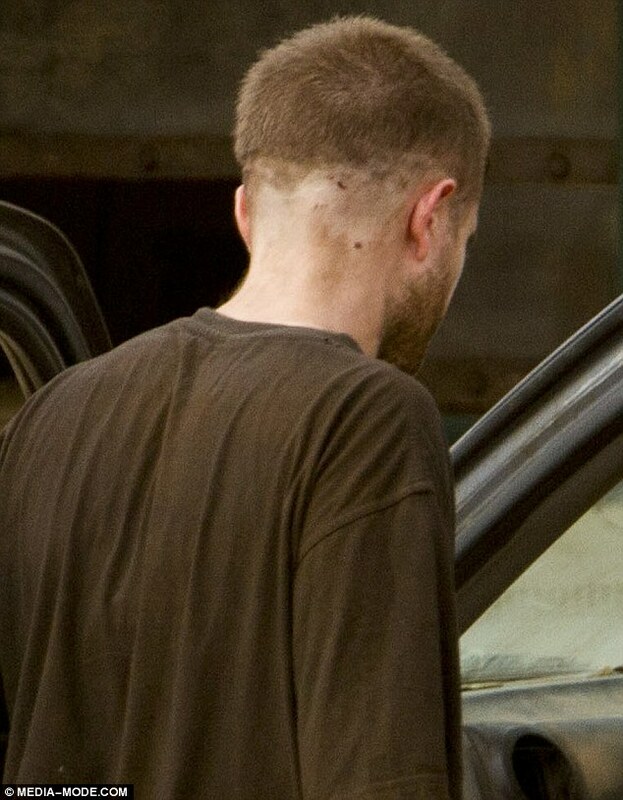 It is all for his movie, The Rover, but they look so horrible! He has also had a horrible shave job done on his hair- look at the back! 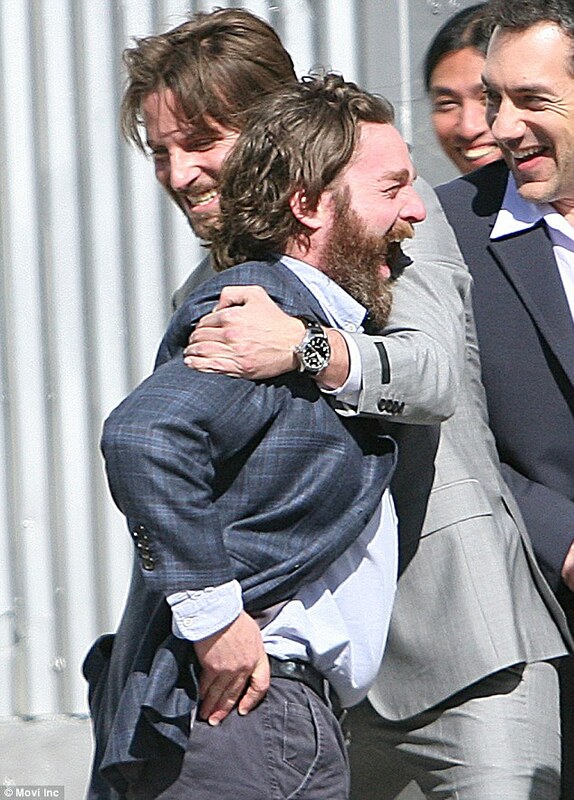 More on-set antics now with Bradley Cooper and Zach Galifinakis! It looks like Bradley was chasing Zach and trying to tickle him on the set of The Hangover 3. So great to see that they get on so well! Check out this HILARIOUS video. Will Ferrell is inconsolable about what Kristen Stewart did to Robert Pattinson when he appears on Conan O’Brien’s talk show. He called her a “trampire”, said “what they had was so special” and “they were in love and she just threw it all away!” Nothing Conan could say would calm him down. It is hilarious. You’ve got to watch!